Do you remember our crochet 3D lace rose? This free easy crochet rose pattern is the perfect project to add a little beauty to your world. It is super easy and work up quickly. It will be a perfect embellishment for a crochet hat or crochet headband or other crochet outfits. 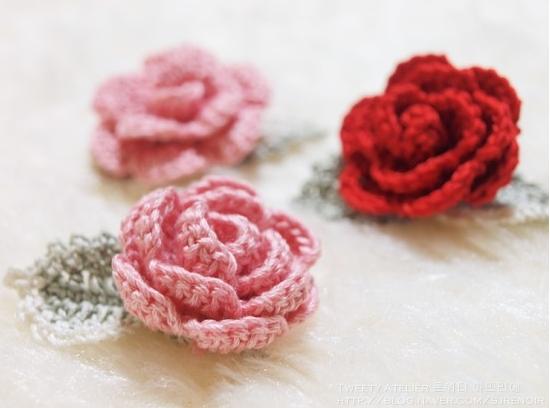 Many of us are crazy about crochet rose flower, these pretty roses are great decoration for fashion, or accessories, or even bedding and home decor. We have some crochet projects that need pretty crochet roses as decoration, such as the pretty crochet flower hat for girls. There are hundreds of similar crochet rose patterns around . 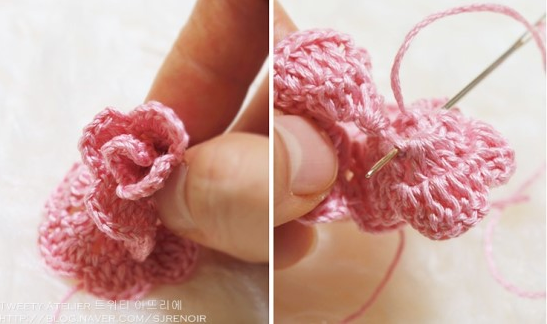 As you can see in the images, it is very easy to make this rose. 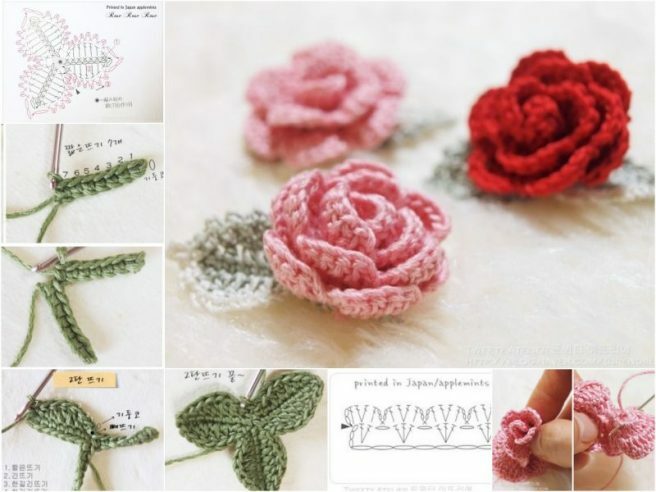 These crochet pretty 3D roses would be a fabulous addition to hats, bags, sweaters, shorts or really anything else you can think of, they never fail to bring extra touch of magic to clothes and accessories for Spring!